In the 1920s and 1930s, Rayner Hoff was the most gifted – and controversial – public sculptor in Australia, best known for the sculptures and friezes that adorn Sydney’s Anzac Memorial, including Sacrifice at its centre. After moving from London in the early 1920s, Hoff taught at and eventually ran the National Art School. As well as completing the Anzac Memorial sculptures – which generated uproar when the Catholic Archbishop of Sydney opposed two further works planned for the Memorial – he also designed the original Holden lion badge, won the Wynne Prize in 1927, and made firm friends with luminaries like Norman Lindsay, Hugh McCrae and Mary Gilmore. 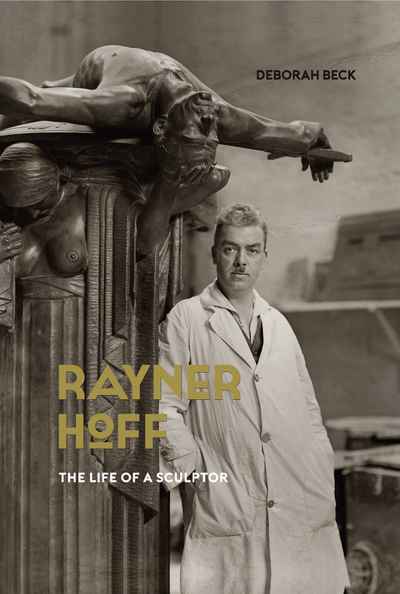 This biography tells the story of Hoff’s life and work for the first time, and how he spearheaded an Australian sculpture renaissance and left a mark that is still keenly felt today. Read the feature on the Rayner Hoff exhibition in the SMH Spectrum.